Streebo is a product and services company specializing in digital transformation. As the saying goes, charity begins at home, Streebo started its digital transformation journey with Cloud DXA from its own campus! Today Streebo boasts of having its own ERP system on Cloud DXA. 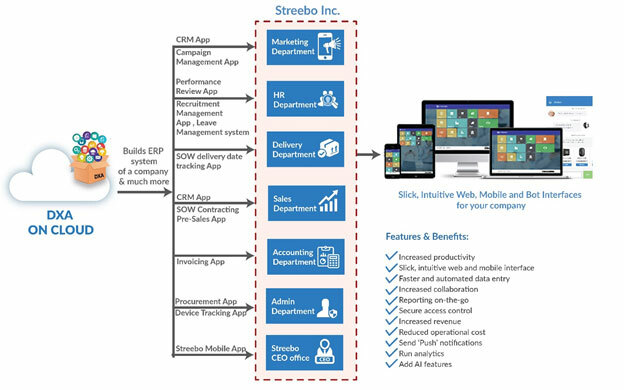 Right from HR processes to marketing systems; Streebo has successfully digitized each of its systems with Cloud DXA. As a first line manager at the company, I heard a lot of stories and saw it firsthand how the manual, unstructured approach was hampering productivity at each level and each stage. These manual, unstructured processes (and data) were becoming a bottleneck in various systems like the Sales Invoicing, HR Recruitment where tasks like downloading of a resume (among others) would take hours, thereby making it a bottleneck and an issue to an otherwise easy and smooth process. One resource had to be dedicated to doing such tasks/resolving such issues all the time, which otherwise, in the world with DXA, would not have been an issue in the first place. Marketing systems such as campaign management and others which were maintained on excel sheets could now be digitized to have a formal system of their own! 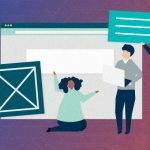 This new slick way has not only paved the way to fix any anomalies, but also helped in identifying new areas of improvement and business opportunity. 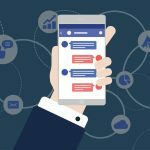 Sales processes like SOW process which requires delivery, sales and finance team to collaborate on a regular basis were digitized to move the unstructured conversations happening over emails and phones in a formal system. This not only reduced email traffic, but also eliminated the need to track and maintain these conversations in calendars, outlook and datasheets. Digitizing such and many other processes with Cloud DXA gave Streebo its own structured ecosystem of processes, its own ERP! Besides creating ERP, Streebo also developed its own mobile app with the help of digital experience accelerator! This slick, neat and cool looking app not only encompasses user profiles, but also houses all the applications an employee uses on a regular basis at Streebo. The home page boasts of a neat interface, giving users the access to applications like Timesheet, Expense Management, Task Management, Performance Review and more. Under this DXA initiative, it also retired a lot of its third party applications like Microsoft dynamics, Journyx and more. This not only gave all the users a single application, platform to work on but also made their learning curve less steep and working easy. The depth and breadth of this digital transformation initiative goes to show DXA’s potential and strengths as a marquee player in digitizing and transforming the manual, unstructured world of a typical company. It moved all the key components of a company to a single, complete digital platform, giving it a comprehensive, 360-degree view of all the processes to all the key players. 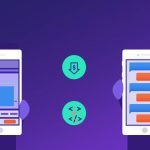 The platform boasts of 2 main components – Streebo Mobile Forms and Streebo Mobile Content Experience which sits on 2 IBM products: IBM Forms and IBM WCM. It also connects to various databases and third-party software’s with equal ease and panache! IT can govern, secure and provide access control to users while business participates and collaborates to create the digital assets of the company! The cool drag and drop interface and point and click interface further enhance its usability and gives the user an unforgettable mobile and digital building experience! Thus, digitally partnering with Streebo’s DXA in your journey of digital transformation would absolutely change your perspective of how applications and digital assets are built in this fast-paced technology powered modern world! Leverage the Power of Low Code Platforms and Accelerate your Digital Transformation Journey!